We originally came to be as Gropp Optics, founded in 1970 by Dr. John Gropp. After 16 years in the original location, Gropp Optics moved into its new location in 1986. Our practice has been located there ever since. In 2012, Dr. Gropp retired, passing the practice on to its current owner, Dr. Naeem Abdulla. 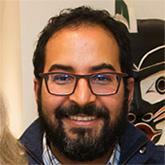 Like Dr. Gropp, Dr. Abdulla has a strong passion for eye care and a genuine love of people. Dr. Abdulla changed our name to Summerhill Optometry, a reflection of the community we reside in and the people we serve. If you’re lucky, you may catch Dr. Gropp stopping by - he regularly consults on new frame selections and technologies. 2014 Brings a New Look! In the fall of 2014, we completely renovated our practice. 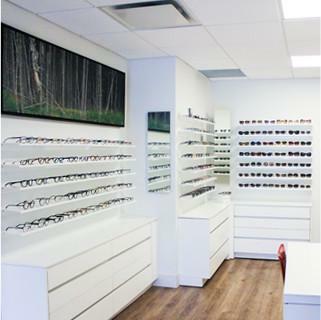 We’ve made space to accommodate updated technologies and machines for comprehensive eye examinations, and we’ve given ourselves a modern look with clean lines to best showcase our wide selection of glasses and sunglasses in the Eye Wear Boutique. Come check out our new look! speaking to the impacts of reading in low-light and on your computer screen. The Framework Foundation invests in Canadian artists and nonprofit organizations. Since their inception in 2003, they have donated/raised over 165,000 hours of volunteer time and supported nearly 11,000 non-profit organizations. Timeraiser directly supports new and upcoming Canadian artists and local non profits. Art is purchased through volunteer hours and not money. We have a piece in our showroom (you should have a look, it’s fantastic!) as do many other businesses all over Canada. Dr. Abdulla “purchased” it with 150 volunteer hours in 2010. Making Faces provides much-needed support to kids with facial differences. It supports anti-bullying initiatives in schools and youth organizations, organizes interactive workshops, and helps kids build confidence, self-esteem, and communication skills. The 519 supports the Toronto LGBTQ community by providing counselling services, coming out resources, safe spaces, and leadership workshops. The TSCBF provides financial assistance that can be applied towards any camp that is a member of the Ontario Camping Association or the Canadian Camping Association. Sending kids to summer camp really resonates with us. Our office proudly displays pieces we purchased from the annual bursary art fundraiser. Ask us for details about the fund. We sponsor it every year! As all eye care providers endeavour to prevent vision loss, unfortunately right now, some diseases have no cure or prevention. The Foundation for Fighting Blindness has recruited the smartest minds in science to find these cures. We are honoured to help them with this search. Dr. Abdulla purchased Summerhill Optometry from its original owner and founder, Dr. John Gropp, in 2012. 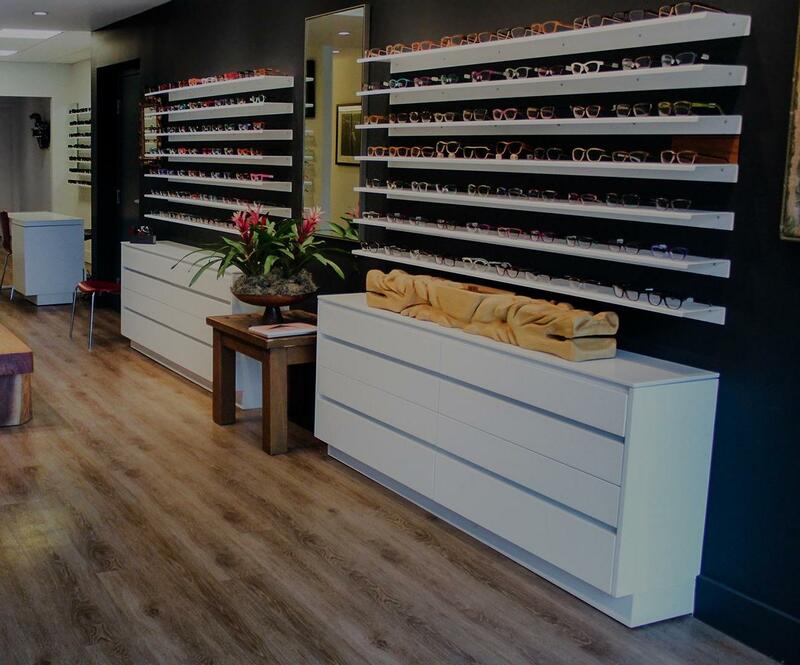 In the almost-five years since, Dr. Abdulla has continued Summerhill’s mission of superior service, exceptional eyewear, and a welcoming environment for everyone. Dr. Abdulla is from St. Catherines and has travelled and worked all over North America. Dr. Abdulla graduated from Queen’s University in 1997, going on to graduate from the Illinois College of Optometry in 2003. After his graduation, he founded a family-focused Optometry practice in Sante Fe, New Mexico, where he worked with a diverse group of patients over the course of five years. In 2008, he returned to Canada where we continued to practice Optometry working in both Optometry and Ophthalmology clinics.